The event will share the perspectives of different experts on the topic of International business & trade from the International Trade Center, OWIT International and business. Members and guests will get familiar with what are the current policies, initiatives and business advancements aimed at incorporating more women and SMEs into global markets. Participants will have the unique chance to meet and greet OWIT International Board and representatives from other OWIT chapters. If you wish to attend the event, please register by the 21st September 2016. Andrea is the CEO of DevelopTradeLaw, LLC, an international trade legal and consulting firm which works with businesses, governments, and individuals to facilitate the successful movement of goods and services across national borders. She writes articles for and speaks before business associations and other venues. Her DevelopTradeLaw blog addresses trade policy and compliance issues of particular relevance to developing countries and to small businesses. She is the co-author of the textbook, International Business: Doing Business Without Borders, Kendall Hunt Publishers, January, 2014. Andrea is the current President of the Organization of Women in International Trade (OWIT). Aicha was appointed Director of the Division of Business and Institutional Support in August 2006. 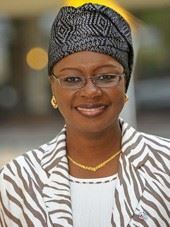 Before joining ITC, she was Minister of Small and Medium-Sized Enterprises and Trade in the Government of Senegal, holding responsibility for trade negotiations, export promotion strategies and assistance strategies for small and medium-sized enterprises (SMEs). Aicha also managed Senegal’s Millennium Challenge Account with the Millennium Challenge Corporation, an initiative of the United States Government to increase economic growth and reduce poverty in Senegal. Aicha began her career in 1984 as a Junior Auditor with Ernst and Young International where her last function was Chief Supervisor of auditing teams. She then joined Citibank Dakar, Senegal, as Manager, Chief Financial Controller in 1990. Her positions with the bank included those of Resident Vice President and Group Vice President, and in 1997, she became Director of Cash Management and International Trade Department. In June 2000, Aicha was appointed General Administrator of the Economic Promotion Fund, an institution put in place by the African Development Bank (AfDB) and the government of Senegal for funding commercial banks to finance Senegalese SMEs. After traveling for a year around the world to set up the first edition of Seedstars World, an international seed stage startup competition focused on Emerging Markets, back in 2013, Alisée is now managing Seedstars World, the flagship brand of the global organisation Seedstars, which has activities in 55+ emerging markets (such as Nigeria, Colombia, Morocco and Philippines). Seedstars objective is to connect stakeholders within these ecosystems, build companies with entrepreneurs, public and private partners and invest in the top high-growth companies. She now has accumulated deep knowledge of trends in technology, social media & consumer behaviour in Emerging Markets. She was recently nominated Innovation Fellow at Wired UK and was a member of the Harvard Model Congress Europe where she won the Award of Excellence. 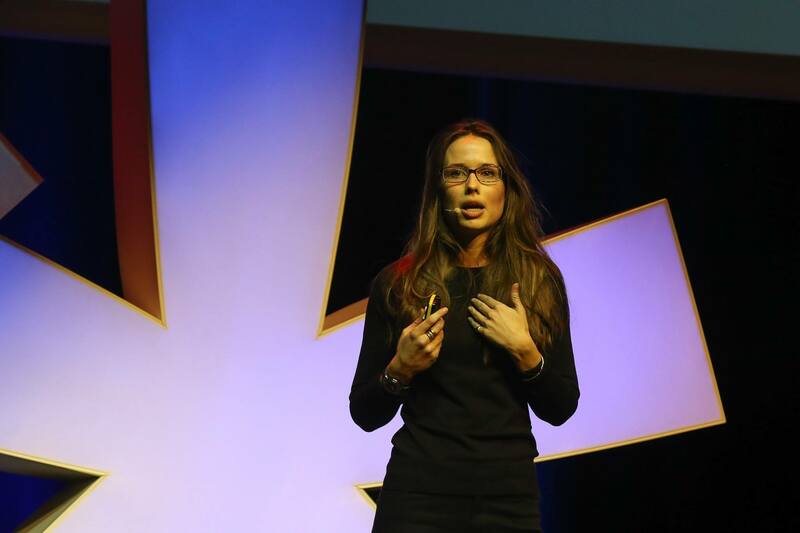 Previously Alisee worked as product manager for luxury brands at L’Oréal Group and was part of the Italian team at Voyage Privé, a leading European startup. Ann is the Lead Lawyer for Cargill’s Ocean Transportation Group. Cargill in its role as producer of food, agriculture and industrial products to the world is the largest charterer of ocean-going vessels, with a current fleet of around 450 chartered ships. Ann provides the Group with advice on all aspects of the law relating to shipping and commodities trading. Ann trained as a lawyer with leading commercial/shipping law firms in the City of London before also qualifying in Hong Kong. She has deep, practical knowledge of all aspects of shipping and trading law, with a focus on dispute resolution. Over the course of her career she has advised ship owners, insurers, banks and commodities trading houses before joining Cargill in Geneva in 2010. She currently serves as President of the Geneva chapter of the Cargill Women’s Network, which is dedicated to the purpose of helping women grow and succeed in their roles by promoting a culture of inclusion and diversity.